It's amazing the coincidences that the internet brings to light. I have had a life long interest in art and I have been known do a bit of drawing myself. Though I choose to write more than draw. Recently, I spotted a picture by a new to me artist on a Facebook page. A picture that instantly grabbed my attention. The artist was Peter Bartle, a name I did not recognise. However I did instantly recognise the subject matter. Having walked under that very bridge countless times. 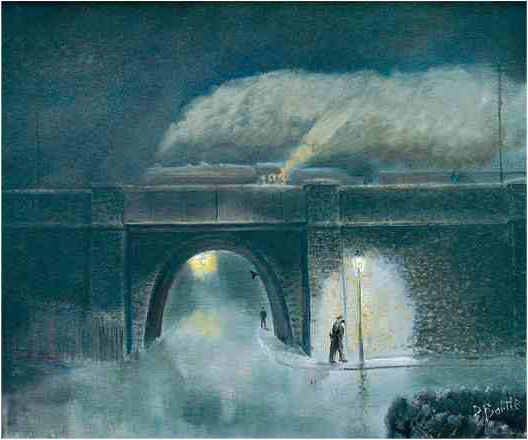 Recognising the garb of footplate crews making their way to the Canklow engine sheds on a dark wet night. There was an old saying - the only ones who should be abroad late on a night are cats, burglars and railway men! There is a certain style in the paintings of Peter and its a style that I quite like. It's reminiscent of L.S.Lowery in its presentation, but much less crude and with more detail of the people and carefully captures the places. But the pictures also capture that waterways essence as well as the environment. Pictures that instantly describe the lives and times of the working man. 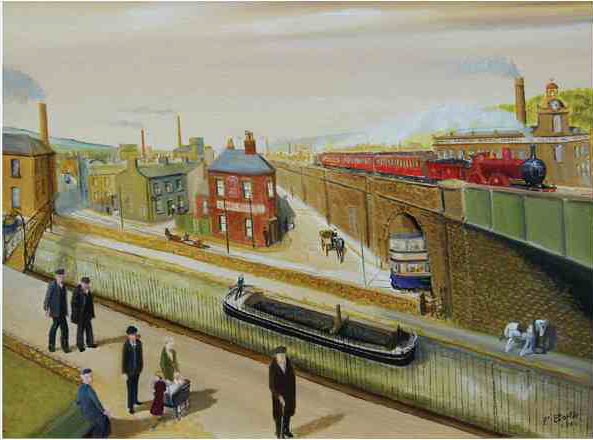 I love the canals and railways, and I was lucky in experiencing both when I was a young man. Nostalgia is such a powerful feeling and any painting that can provoke such feelings has to be good. Once or twice I have also had the feeling that some of the images are mirror view of places that I know. I have actually used a similar technique with digital photographic images myself. I can't explain why - but sometimes the image just works better when presented the other way round. Recently I found a posting on another boating blog. It was about a picture that had been picked up in a second hand shop. 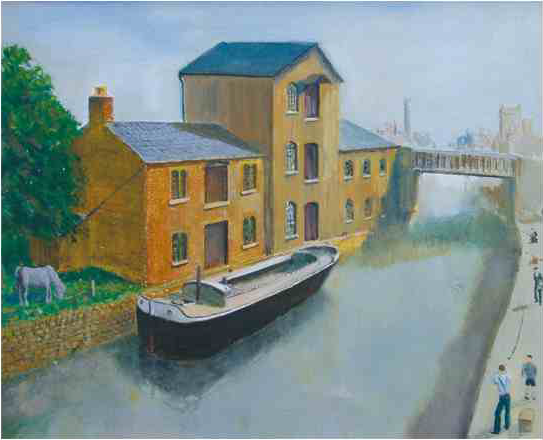 I instantly recognised the image as being the place on the canal where I had spent much of my childhood. Once more the memories came flooding back. 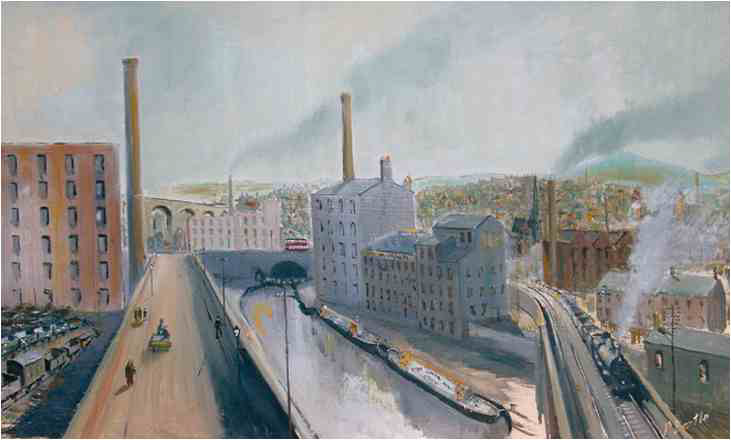 In Peters work the views are distinctly northern and there is a certain style to not only the architecture, but also the people, the places and the light. Unless you have witnesses the light in an industrial environment. A bright sunny day can look grey and uninviting. This was a time when Britain was still hanging on to the title 'Great'. Though much of the manufacturing industry and infrastructure have long gone. You may just recognise some of the places along the canal. I certainly did. Others seem to be out of place for the canals around Rotherham. As the narrow working boats mainly operated on the narrow canals. 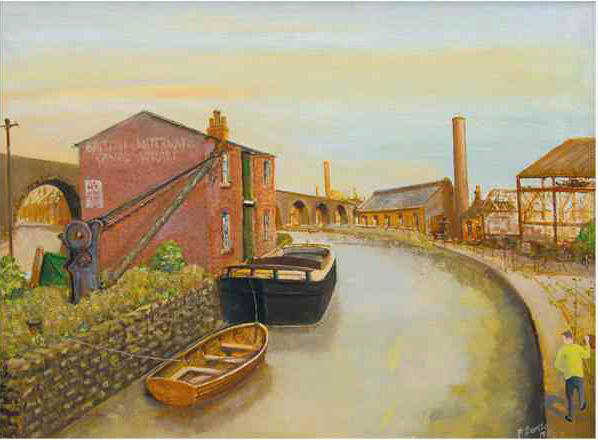 Round here the wide canals had much larger barges filled with heavy loads of coal, grain, timber and steel. 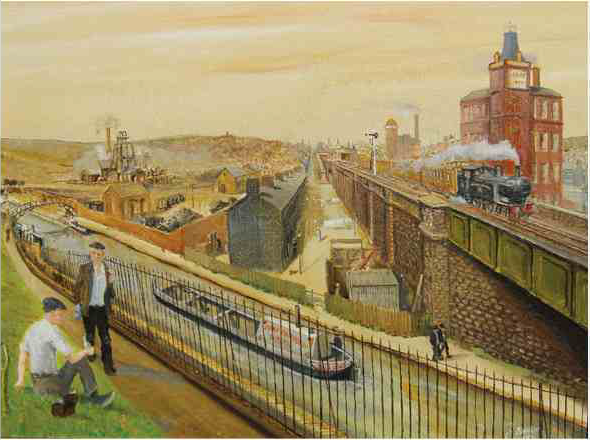 Peter worked 'on the railways' and many of his pictures are of his experiences. Just about everyone loved the era of the steam engines. Unless it was you on the shovel, when the work could be quite heavy. Mainly depending upon the skill of the driver and this 'touch' upon the regulator. Each had our own favourite engine types. I loved the sound and feel of a heavily laden steam engine working hard against a gradient. 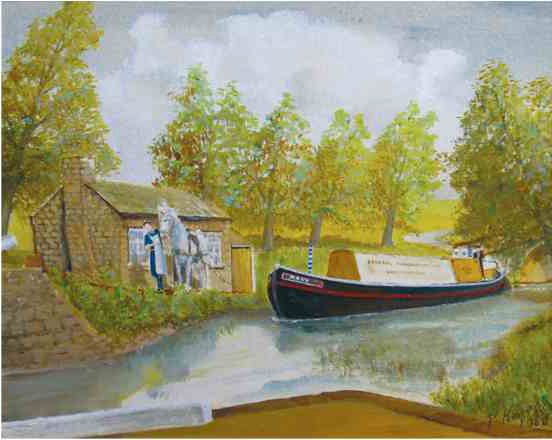 But Peter also captured the essence of the working canal boats. 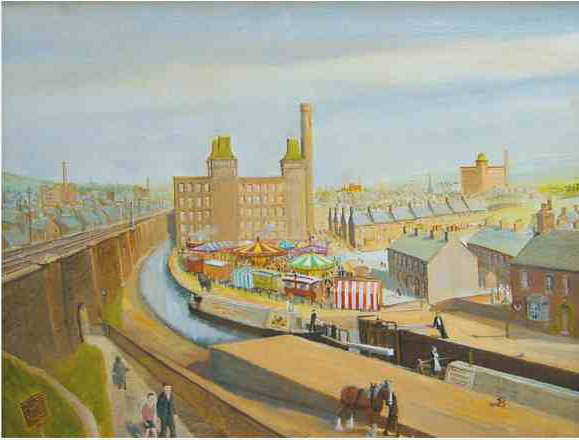 The fine detail of bridges and towpaths, wharves and the old hand cranes. The barges plying their trade.